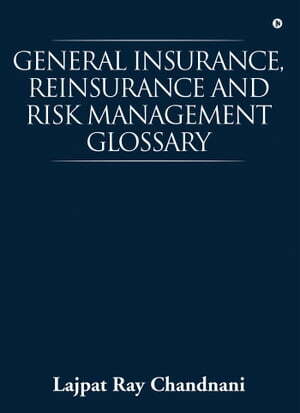 Collins Booksellers - General Insurance, Reinsurance and Risk Management Glossary by Lajpat Ray Chandnani, 9781946556967. Buy this book online. General Insurance, Reinsurance and Risk Management Glossary is designed to provide accurate and authoritative yet simplistic and understandable definitions on commonly used words, terms, concepts and abbreviations used in the Industry. It is divided into sections in alphabetical order and wherever applicable, terms are cross-referenced with other terms. • Laymen who wish to better understand their own insurance coverage.